Over the past 6 months my loyal Superbadger followers using my app on Facebook and iPhone have sent over 1500 emails to different UN employees. The United Nations Educational Scientific and Cultural Organisation (UNESCO) created a prize for “scientific achievements” sponsored to the tune of $3million (£2million) by Teodoro Obiang, President of Equatorial Guinea. Obiang has been accused of rigging elections, rights abuses and corruption by several human rights groups who have called for UNESCO to end their association with him. Some of these emails went to the UNESCO board director, others to Executive Board members and they, alongside other campaigning organisations, have had an impact. 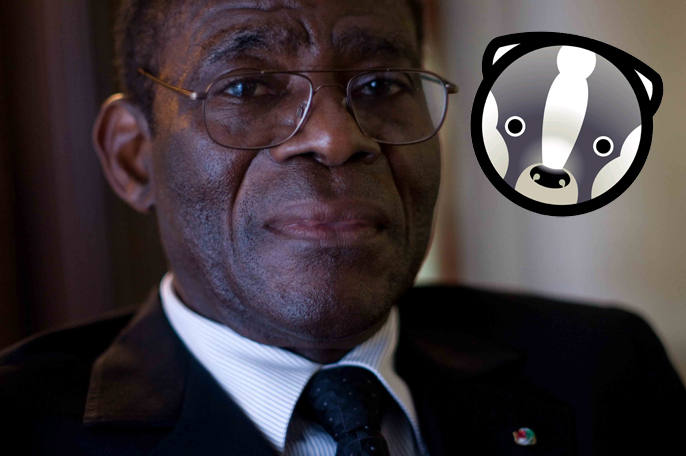 UNESCO HAS SUSPENDED THE OBIANG PRIZE. This follows a postponement of the prize in June; my friends we should be greatly encouraged. Thank you to all who took action, your voices were heard and have shown President Obiang and the world that we will not sit idly by in the face of corruption and poor governance. If you would like to join the ranks of Superbadger users visit http://bit.ly/bxKS7s or download Superbadger from iPhone’s AppStore. Last month, you let the UN know that you thought it was out of order that they were funding an award recognising work that improves the quality of human life, that was being funded by a man who presides over an appalling record of human rights violations and corruption. Hundreds of you badgered the Director General of UNESCO, the United Nations’ arm for education, science and culture, to stop honouring a corrupt dictator and to demonstrate that it won’t endorse corruption or dictatorship by cancelling the prize. Today we’ve heard that, thanks to the concerns raised by you and countless others, UNESCO have announced that they are to delay awarding the prize, funded by and named after Equatorial Guinea’s longtime dictator, President Teodoro Obiang Nguema. This is really encouraging news and SuperBadger is delighted that our voices have been listened to. But he wants to make sure that the awarding of the prize is not only postponed until October, but that it is stopped all together. Take a few minutes to get involved and let UNESCO know that they must cancel the prize altogether. Head over to http://apps.facebook.com/superbadger to take action and send a message that the UN should not be honouring a leader who has neglected his country.